Volvo Glasgow are pleased to provide new and approved used Volvo cars to customers in Glasgow and all of the surrounding areas. 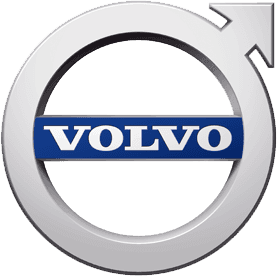 As well as offering the entire range of new Volvo car models and a vast ammount of approved used Volvo cars, we also provide Volvo parts & servicing through our authorised service centre. If you are interested in purchasing a new Volvo and you live in or around the Glasgow area, Taggarts Volvo offer all of the latest new Volvo car models with a variety of finance and service packages available on models such as the new Volvo V40, V60, C30 and the S40. Take a look at our new car pages today to find out more about Volvo cars. As well as having all of the new Volvo cars available to our customers, Volvo Glasgow also offer great deals across our range of used Volvo cars, all of which have passed a series of multi-point inspection tests before reaching our forecourts, to ensure that they meet our high standards for quality and safety and performance. Click on the 'used cars' tab to find out more about the used Volvo cars currently in stock, or alternatively fill in the enquiry form at the bottom of this page and a member of our team will be in touch shortly. Being an authorised Volvo service centre means that we only supply and fit genuine Volvo parts on your car when carrying out maintenance and servicing work. All of our knowledgeable technicians have been trained by the manufacturer and use only the best and most up to date diagnostic equipment, so we are always able to provide you with the best possible Volvo aftersales services. Our Taggarts Volvo dealership in Glasgow is located on the North side of the city and is near to the M74 and M8 and close to all public transport links. We provide new and pre-owned Volvo cars as well as parts and servicing to the surrounding areas such as Rutherglen, Clydebank and Paisley.